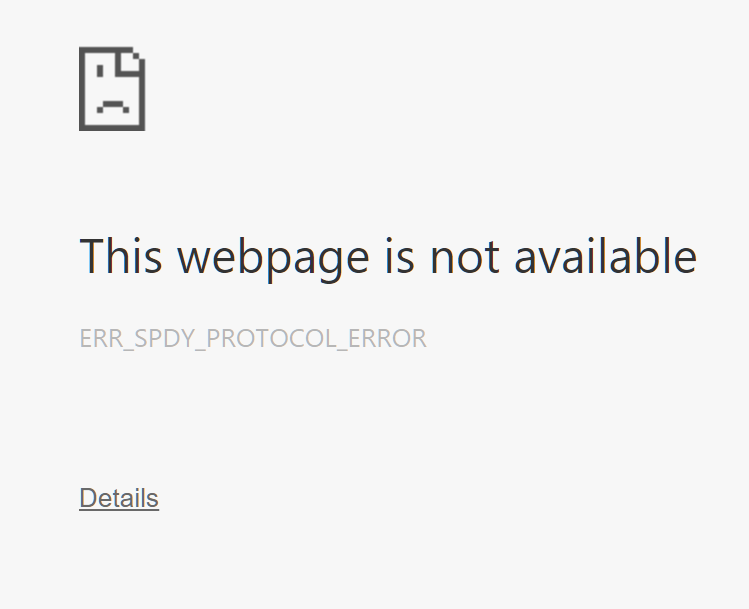 Just got a ERR_SPDY_PROTOCOL_ERROR when I tried to open Facebook. Does this mean Facebook is down? Maybe not. My first thought was that maybe Anonymous or ISIS had taken it offline, although, not sure why they would do that. But, I opened Wordscraper, which is on the apps subdomain (https://apps.facebook.com/wordscraper/) without any problem. A quick search of Google shows that this is not an uncommon problem, and apparently, something more likely to happen in Chrome. But, it is working again, without me having to do anything, so maybe, not Chrome at all. Maybe, Facebook did go down tonight ……. This just happened again, this time with Dropbox. Dropbox worked in Firefox, so I dug deeper. Found a solution which suggested flushing Chrome sockets. Then in the dropdown menu, select “Sockets” and click Flush Socket Pools (it takes you to the same page).